I am an experienced and qualified Humanistic (Person-Centred) counsellor, who counsels and has counselled in a variety of therapeutic settings such as bereavement practices, schools and colleges (with both staff and students), and counselling charities, as well as an independent practioner. It is this variety that has enabled me to work with many different people, from varied backgrounds and walks of life, with both straightforward and more complex issues. Through my work and my life experiences I have again and again been moved and inspired by ways in which people instigate change in themselves and their lives. We are all capable of working through difficult times, and we all have it in us not only to survive but to thrive. By making the choice to work through personal difficulties we can help shape our present and our future, and release ourselves from elements of our past that we feel have been hindering us. I hold an Fda in Counselling (Merit, Level 5). 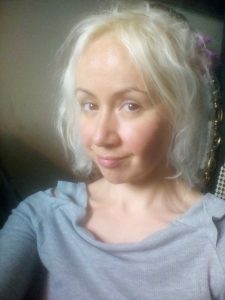 Coming from an Arts background, as well as being qualified as a counsellor I also hold a BA (Hons) in Cultural Studies and an MA in Creative Writing: Scriptwriting. As I am Person-Centred, my approach is predominantly client-led and non-directive. However, the specific way in which I work with each person will be tailored to them and them alone - I believe the therapy must fit the client and their needs, and not the other way round. With this in mind I may feel it helpful in sessions to draw on skills from other therapeutic models such as CBT, Gestalt and Existential Therapy. For some of us the idea of therapy may be somewhat daunting, as we do not know what it entails, or think that it may not be for us. As I fully appreciate that a strong therapeutic relationship is a fundamental contributor to the therapy process, I always offer an initial meeting to establish if we would both like to move forward with further sessions. In this session present and past issues could be broached and discussed, and we could consider your hopes and expectations for the counselling. It can also be an opportunity to see how comfortable you feel in a therapy setting. Therapy can give us insight and help us rediscover the strength and inner capabilities to move forward – from being at the mercy of painful long- or short-term issues towards an existence with more clarity, understanding and the happiness that each of us deserves to experience. I counsel adult individuals of all ages, providing long or short-term therapy, depending on the needs of the individual. I offer face-to-face, telephone and online counselling.